Welcome to Week One of our 2017 Instagram Class, co-run by #SciFund Challenge and Louisiana State University! The instructors for this class (Becky Carmichael, Paige Jarreau, Jai Ranganathan, and Anthony Salvagno) are very excited to have you here. This week we’ll get acquainted with Instagram and begin to find relevant people and conversations on Instagram that we’ll be able to tap into in the future. But first, let’s get situated in our virtual classroom. Much of this class will happen on both Instagram and Google+ in a private community. The Google+ community provides a comfortable space for your contributions, where you don’t need to worry the whole world is looking in. You will receive email instructions for how to join the Google+ community for this class. 1. The first thing to do right now is to sign up for one group discussion time for this week. Full instructions are at the bottom of this material, but we wanted to call your attention to this point. 2. If you are having trouble joining the class’ community page on Google+, contact me (anthony@scifund.org), jai (jai@scifund.org), Becky (bcarmi1@lsu.edu) or Paige (paigebjarreau@gmail.com) immediately. Since the class infrastructure largely exists on Google+, if you can’t access the community page, you won’t be able to participate in group discussions or conversations. 3. Can’t figure something out, having trouble with something, or having a concern? Send us a note right away. We want to know! If you’d like a response from the class as a whole please do send a message out to the class via the Google+ community page for the class. 4. Google+. So, how does the SciFund Challenge class community page work anyway? Watch this screencast for a short introduction. You can make the video full screen once you hit the play button. In the lower right of the video, you will see a “full screen” icon – it looks like a broken rectangle – which will take the video full screen. Please note this video is a tutorial for the 2016 SciFund Video Class, but everything will work exactly the same as for this Instagram class. 5. How does this class work? Each week of this class has the same structure. Part one (done early in the week) is to do something on your own. Part two (done mid-week) is to engage with others in the class. Part three is a one-hour group discussion on the week’s topic (done late week) via Google hangouts. 6. The video above details how to sign up for Google Hangouts in this class, but there is one key thing to remember: please only sign up for one hangout each week. You don’t need to select the same hangout day/time each week. 7. Changing Google+ notifications. By default, Google+ will be sending you multiple kinds of notifications. If you would like to change the notifications that you are getting, you can do so here. 8. Contact information. The contact information for class instructors and class participants is on the Google+ community page under the “Class Information” category. 9. The way this post (and future posts) will work is that the material for the week will be the first up. After that, the individual and group assignments will follow. With that, on with the show! Every week, we’ll be breaking out into discussion groups. This week, we’ll be talking in our groups about our adventures with science messaging. We’ll be having these discussions via one-hour group video conferences, courtesy of Google Hangouts. We have scheduled tons of one-hour discussion sections for this week. Sign up for one of them right now, please. All sections will be facilitated by one of the course instructors. Sign up instructions are in the video above. VERY IMPORTANT: Only ten people are allowed in a single hangout (1 instructor, plus nine participants). If you see ten people already signed up for a hangout, that hangout is full. The way the discussion groups will work is as follows. Before your discussion group starts, please have at least read through that week’s material. If you’ve had a chance to get started on that week’s exercise, even better. A minute or two before your scheduled discussion section is supposed to start, go to the web page for that section (the video above explains how). When the section time begins, a button will appear on the page allowing you access to the hangout (you may need to refresh the page). Please be in a quiet place for the hangout. If you are in a noisy spot, it will kill the audio feed for everyone. Additionally, during the Hangout, please be sure to have your sound going through headphones! If you don’t, it is almost certain that someone’s speakers and microphone will cause enough feedback to kill the audio feed for everyone. If you are having specific problems with Hangouts, Google has a troubleshooting page on the very topic. Social media is becoming an increasingly useful method for scientists to connect with people outside their typical peer groups. In fact, many scientists use social media as a method of outreach and education. Instagram, in particular, is designed from the ground up as a photo-sharing platform. And this should lend itself perfectly to communicate the things that are interesting and important to us to our audiences. If you haven’t already, download the Instagram App onto your mobile device and sign up for an Instagram account. Instagram is a mobile-only social network, meaning that you can only post via mobile devices (iPhones, Androids, iPads, Windows Phones, etc.). Once you get the app, sign up for an account. Once you log in the fun can begin! Instagram isn’t your ordinary social network. It also isn’t just a photo sharing network. In fact it is quite a powerful photography and editing tool as well. Throughout this class we’ll help you build skills in picture taking and photo editing as well as develop your skills in communicating via instagram and building a network. The most prominent Instagram-ers (regardless of focus) all have one thing in common: no matter their picture or video quality, they have made a connection with their followers. Some do it through jaw-dropping photography, some use humor as a connection tool, and others use current trends as a mechanism for audience delivery. For us, the photography will be part of the solution, but to go further we’ll need to identify what will complete that social connection between you and your target audiences. One of the best ways to do that is to learn from other scientists who are using Instagram to connect with their audiences. As you look through the following examples, remember there are no right ways to achieve this. The key is understanding how you want to interact with your audiences, and then keep doing it. Any effective communication strategy requires knowing who your target audiences are. We use the plural term “audiences” because you will rarely just have a single target audience. If you do (e.g. “the general public”) then you might not have thought through, specifically enough, who you are trying to reach. For example, with your Instagram content you might want to reach other researchers with updates of your work from the lab/field as well as students who might be interested in your field of science. You might also want to reach friends who wonder what you are up to when you spend hours in the science lab every day or a month at a field site. Those are at least three very different audiences. Why is it so important to define your audience or audiences precisely? Because your content, or the story you have to tell about being a scientist, will only work if it connects to the interests, needs and concerns of your target audiences. If you don’t define your audiences correctly, you won’t have a shared set of interests, needs and concerns to zero in on. A very common mistake is defining your audience(s) too broadly or too narrowly. On the “too big” side, we frequently find scientists setting their audience as “people who watch science-related YouTube videos,” “readers of the New York Times” or even “the general public.” What do New York Times readers actually have in common? Sure, they like to read. They also might enjoy walks on the beach. It’s going to be hard to create content for such an ambiguous audience. On the other side, other scientists and science communicators will say that they want to develop an outreach program to connect with a tiny handful of people – sometimes even one person. If that’s your situation, the kind of outreach program discussed here is probably not the right way to go. Instead, just connect with those people directly. Your phone is your friend! Generally speaking though, if you find your audience to be extremely narrow, in most cases you should redefine your audience to include more people, especially because there might be more people who share interests relevant to your message. Although any target audience you want to reach should be specific, it doesn’t need to be micro-targeted. That is, you don’t have to focus down to something like “women in Hawaii between the ages of 25-30 who waterski and are allergic to peanuts.” Rather, a specific audience is one that is generally alike in interests and concerns (alike in knowledge is a bonus) when it comes to the topics that a scientist or science communicator wants to cover/discuss. This doesn’t mean the target audience is alike in all respects, just more or less alike when it comes to needs, interests or concerns related to a particular science topic or issue. Here are three real examples of scientists who have found nicely focused audiences for their outreach. A marine biologist whose research focuses on food webs of the US Pacific coast and who targets his outreach on fisherman of the central coast of California. A set of ecologists who write very short science stories for parents with young children (e.g. people who might desire to read stories about science to their kids at bedtime). A fisheries biologist who corrects widespread misconceptions about the dangers of sharks, by focusing on those who are watching Shark Week television programming (a popular yearly event on the Discovery television channel that features angry, angry sharks with sharp, sharp teeth). A geologist who shares technical images and stories of discoveries from the field on Instagram with the goal of reaching other geologists and geology students with real-time scientific data and insights. What are the right audiences for you? If you are just getting started with all of this, you might well have no idea. It often isn’t easy to narrow your audience from “People of Earth” to something a little more specific. The truth is that there are many different audiences you could select and the audiences you are addressing might frequently change. Your target audience(s) will also naturally evolve as you gain experience. But the audience(s) you want to reach with your science communication efforts should always follow from your goals when it comes to sharing your science and scientific experiences. For example, your goal may be to raise awareness about the impact of oil spills on endemic species in the Gulf of Mexico and the need for more research specimen collection post-spill to better assess these impacts. You may start with the aim of engaging local adults with your research, but find that you are more interested in engaging state-level policymakers on this issue and involving local fisherman in specimen collection efforts. Sometimes our audiences evolve and grow organically based on what we enjoy sharing. You might also already have an audience on Instagram or another social network for things you share other than your science. For example, you might have an Instagram account where your followers include your friends or people who follow you for content you post about your favorite sport, gardening, cooking, photography, etc. (One of the instructors for this course, for example, has an Circus Art Instagram account with over 10K followers). While scientists often want to separate out their personal and science-related social media accounts, it can actually be more effective and rewarding to mix your science and your hobbies, your professional and your personal self, on Instagram. A scientist who is also human is more relatable! And that is good for science communication. This is a personal choice, but we encourage you to at least consider mixing science in with other non-science things you share about your life and experiences on Instagram. So if you will be using your existing Instagram account(s) to share science, how could you share your science in ways that would interest your existing audience(s)? What are the overall goals you hope to achieve in sharing your science or science-related experiences on Instagram? There are no wrong answers! Even if you are new to this whole thing and don’t have any specific goals in mind, you can still formulate some general goals based on what you find initially interesting. And you can always change your goals later. Here are some potential goals to get you thinking. I want to share my excitement and get other people excited about my field of science or area of study. I want to increase the public visibility of my research, field of science or area of study. I want to influence policy associated with my line of research or field. I want to connect with other students in my field of study / researchers in my field of science. My research doesn’t use the creative part of my brain enough and I want to create fun, science-related visual content on Instagram to exercise my creative side. I want to influence public opinion on issues associated with my research or field. I find my research or field of study extremely interesting and I think the wider world would share my passion if they knew more about my research or field. I want to transition out of a research career into some other career and I think that building a communications portfolio will assist in that transition. I want people in my field to pay more attention to my research. I’m a researcher, and I want to entice graduate students to join my lab. I’m a graduate student, and I want to catch the attention of researchers whom I might work for as a postdoc, research assistant, etc. I’m a pre-med student and I want to build up an online network of other medical professionals to explore what type of medicine I’d like to go into. I write a science blog and I’d like to use Instagram and attention-grabbing visual content to drive traffic to my blog. I would engage a set of people who would be willing to contribute funding to my research program on a regular basis. I want to be a contributing member of my area of interest. Start with trying to communicate with people you know. If you are a biology student in college, your first target audience could be other biology students at your institution or across other institutions in your country. It is much easier to have a sense of an audience with which you have at least a little personal experience or something in common. Let’s say you are interesting in using outreach efforts to draw funding for your scientific research or field of study. One key consideration is that some of your audiences may have very limited capability to actually provide funding, even if they are highly committed to your research or outreach program. Let’s say one of your target audiences is composed of at-risk teens. This group would have almost zero capacity to fund your research program under any circumstances. With a funding goal in mind for this project, it would be essential to identify and regularly engage two very different audiences. The first would be your original target group. The second audience would be a different set of people, people who find your project interesting but have greater funding potential. This second audience could be engaged perhaps because of a connection to the subject matter or perhaps to the first audience. Find additional reading on effectively identifying and reaching your target audiences through social media here. Join the Google+ Community. Review the class welcome email for instructions on how to join. Sign up for a hangout time that meets your schedule. Use the hangout signup document in the class Google+ Community. If you haven’t done so yet, create your Instagram account. Fill out your profile and add a profile picture. Follow your classmates. You will find a list of class members and their instagram accounts in the Google+ Community. If needed, please add your account information to this document. Identify at least one goal for your Instagram efforts. What are you passionate about, that could guide how you share science on this visual platform? Write down your goals for using Instagram – they can be brief. Who are a few current users you plan to follow and why? What would you like your audience to learn about your area of science? For example, do you want to share information, promote your work, or take an entertaining path? Which hashtags will you use to connect you to your audience? What kind of visuals do you want to share with your audience? Think about how you could share your science visually in ways that would interest and resonate with this audience. If you have potentially multiple audiences, identify them. Explore Instagram to locate other users who share your interests. Search for hashtags relevant to your field of interest or study, such as #ecology, #fungi, #physics, #astronomy, #sciart, #scienceselfie, #geologyrocks, #biology, #premed, #undergradinthelab, etc. Record 3 of your favorite hashtags. Select at least 5 of the users contributing content to your favorite hashtag(s) for further investigation. Take some time to look through the feeds of these Instagram users. What are 3 things you notice overall about these accounts? For example, who is the author and what are their intentions? Are their mosts mostly informational (providing technical science information? Mostly entertaining? Mostly motivational? Do their posts include calls for action – are they asking their audiences to do something specific? Do they post a mix of these different types of content? Does the user have a theme for the posts he/she includes in his/her Instagram feed and stories? What is 1 thing you are left wondering about the account/user? Follow the users you have chosen to study. Like one favorite image from each of the 5 Instagram users you explored above. Like these images using the heart icon, or double tap on the image itself. Briefly describe what drew you to these images. Does the caption read complete? Does it pique your interests to learn more? Has the user provided enough information in the caption to give the image context? What more could be included? Are the hashtags effective in connecting your search to desired content? Do the images fit the theme of the account? Who would you say are the intended audiences of the image and caption for each post? Create your first Instagram post (either a photo or video) using your analysis of the other existing accounts and the personal goals you have identified. Be sure to provide an informative caption. Use any relevant hashtags you identified from step 6. Note: hashtags can be anything you want. Instagram has a cool feature that will show you how many posts exist for similar hashtags as you type out the hashtag. Using most used hashtags will ensure max visibility. 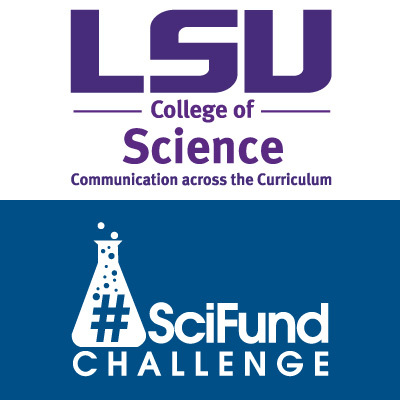 Be sure to include #LSUSciFund to connect with the class. Keep practicing! Like any social tool, Instagram requires time to build an audience and practice to develop your photography skills. Keep at it and you’ll get to expert Instagrammer in no time.